Q. Will your fertilizers dry out my lawn during the summer? A. Not at all. 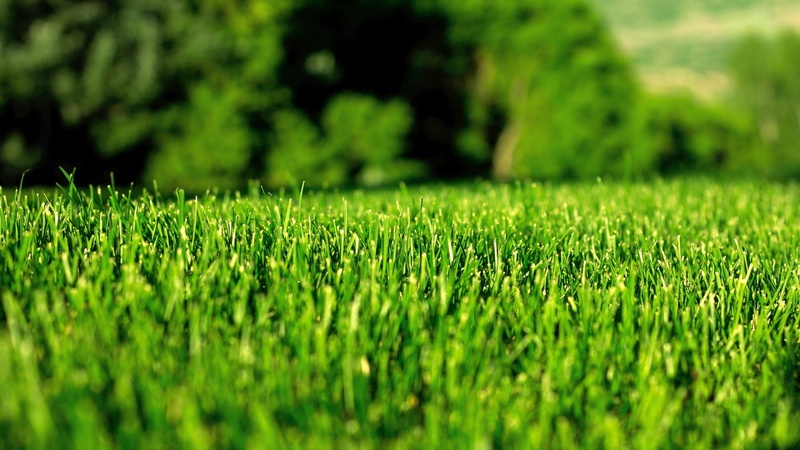 Our professional fertilizers won’t burn or dry out your grass during the heat of summer. In fact, our fertilizers actually help your lawn survive the summer heat stress. 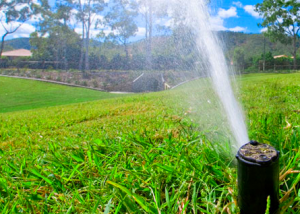 When you water your lawn after a period of drought, our fertilizers will help your lawn recover faster. Q. Why do I still have weeds? A. Some weeds are difficult to control. Unusually hot weather, watering within 24 hours of treatment, or mowing immediately after an application can reduce control. The good news? Customers who are signed up for four or more services will receive free service calls to respray the weeds that were not initially controlled. Q:How long will it take for my weeds to go away? A. Depending on the type of weed, it can take as little as 24 hours to see the weeds begin to curl and wither. Some difficult to control weeds will require multiple, regular applications. Q. I always thought that dandelions could be prevented from showing up in my lawn. Is this true? A. Despite what you may have heard, dandelions can’t be effectively prevented; they can only be controlled when they’re actively growing. They’re best tackled in late spring, after they’ve sprouted. Once we treat for dandelions, we’ll continue to monitor your lawn throughout the season and treat new dandelions as they show up. Q. Can you get rid of ground ivy? It seems to take over our yard every year. A. Yes. But ground ivy is one of the tougher weeds to eliminate. It’s just one of more than 50 common lawn weeds that we control in late spring. As soon as these weeds are gone, we begin watching for new weeds to pop up. Q.How soon can I water my lawn after a weed control application is applied? A. Although light watering or a brief shower should not seriously impact weed control applications, it is best to wait to resume your regular watering schedule. Q. How can we keep our neighbor’s weeds from spreading into our lawn? A. Well, aside from moving, your best defense against weeds is a thick carpet of grass—thick enough that it doesn’t give the weed seeds a chance to sprout. Our products focuse on improving your lawn’s turf density. During the growing season we constantly monitor your lawn for new weeds and knock them out if they appear. Q. Is it OK that your technician applied our weed control on a rainy day? A. Assuming it was just a light shower (as opposed to a full-on rainstorm), your results shouldn’t suffer at all. Our weed control products are primarily absorbed through pores in the weeds’ leaves; as long as the product is not washed off the leaf, it’ll still be able to do its job. But if you don’t see leaf curling or wilting in 10 days, just call us for a free follow-up application. Q. How can you treat my whole property in such a short period of time? A. It all comes down to proper equipment and highly trained experts. Q. How does aeration help my lawn? A. Aeration cultivates the soil just as you might cultivate the soil in your garden—it opens holes in the soil for the penetration of water, air and plant nutrients. Aeration also relieves soil compaction, helps manage thatch and stimulates root growth. For cool season turf, fall is the best time of year for aeration, but it can be done in the Spring if requested by the home owner. Q. Your Tree and Shrub Program is doing a great job on our trees. But why can’t your lawn specialist treat our landscape plants in one visit? Wouldn’t it be cheaper than sending separate trucks? A. Cheaper, yes. But not as effective. Your trees and shrubs need a different kind of care, which requires specially trained technicians using a specific kind of equipment. Your lawn is fed from above ground, while your landscape plants receive their feeding using special root zone injections that provide immediate and long-lasting results. Q. How much do I need to water my lawn? A. Your lawn needs about one inch of water per week, either through rain, irrigation, or a combination of the two. Q. Can I mow the same day my lawn is treated? A. We ask that you wait 24 hours to mow after the products are applied. Q. How long should we stay off our lawn after you visit? A. If your lawn received only a granular fertilizer application, you can get back to enjoying your lawn immediately. But if you received a liquid weed control treatment, please stay off the grass until the liquid has dried. Depending on the temperature, humidity and wind, drying should take from one to several hours. Look on your invoice for more detailed information. Q. How safe are your products (for my kids and pets, for example)? A. Our professional fertilizers are not considered hazardous materials. There is no record of human or pet injury resulting from a professional fertilizer application. These products are all registered for use on home lawns and contain many of the same active ingredients as the products you can buy at your local nursery or garden store. When used by our professional technicians in strict compliance with labeled instructions, they do not represent any significant threat to your family or pets.